Len Morabito: another victim of Australia’s wind & solar obsession. Flummoxed renewable energy zealots can’t escape the obvious connection between heavily subsidised and utterly unreliable renewables and rocketing power prices. As Malcolm Turnbull and Josh Frydenberg close ranks to protect renewables rent seekers (including the PM’s son, Alex), the casualties keep mounting. One of those is Len Morabito, who operates four independent supermarkets. In just 12 months his power bills have jumped 31 per cent. Len, along with thousands of other small businesses, are being punished by the idiocy that passes as political leadership in this Country. Some of which is on clear display in this article from The Australian. See if you can pick it? Major Australian companies and small businesses are struggling to cope with record electricity price hikes that have forced them to seek alternative power sources, consider cutting thousands of jobs and pass costs on to consumers. As the Turnbull government today hopes to secure support for its signature energy policy in Melbourne, some small to medium-sized businesses have questioned how the national energy guarantee will reduce soaring power bills. Independent supermarket owners have experienced price rises of hundreds of thousands of dollars in the past 12 months, warning that it could push up ­grocery prices and benefit Coles and Woolworths, which they argue have the ability to absorb the increases and strike better power deals. Master Grocers Australia chief executive Jos De Bruin, who represents independent supermarkets, said: “I don’t think anyone knows what it (the NEG) means. “What does it mean? What can the federal government actually do to influence electricity prices. “We have been exploring what we can do at a federal level. We went to see (Energy Minister) Josh Frydenberg last October/November. We gave him a document to say that between February and October last year our electricity went up $110 million as an industry sector. That’s independent supermarkets. Our members were ­coming off old contracts and going on to new contracts. Len Morabito, general manager of four SUPA IGAs and a freestanding liquor store, said he was $215,000 worse off than at this time last year because of electricity price increases. He said this was a 31 per cent rise from the 2016-17 financial year. Mr Morabito said the four ­supermarkets were scatted across regional Victoria in Leongatha, Korumburra, Shepparton and Bendigo. 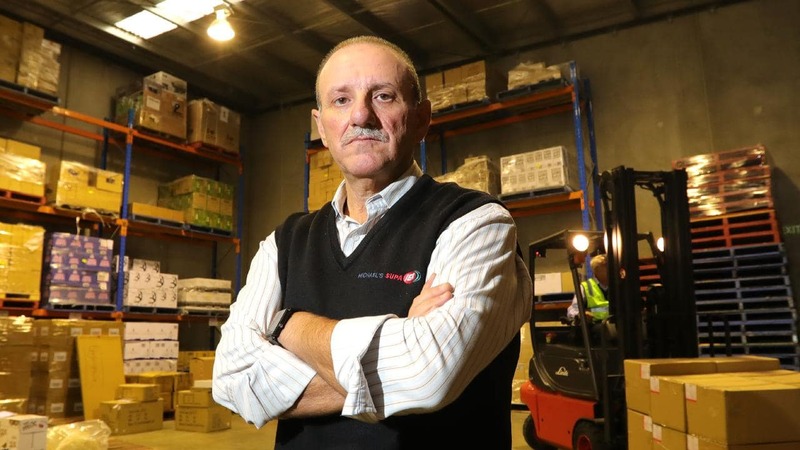 The business runs a warehouse and its headquarters out of Moorabbin, in southeast Melbourne, and employs more than 500 people. Mr Frydenberg will use today’s Council of Australian Governments meeting of state and ­territory energy ministers to push through final design work on the NEG, with the aim of securing a deal on the policy by August. Mr Frydenberg says the guarantee represents an “opportunity which cannot be missed” with key manufacturing companies backing the overhaul including BlueScope — which says its electricity costs are likely to rise 93 per cent to $113m by the end of financial year 2018 when compared with ­financial year 2016. “It is time for all governments — federal, state and territory — to put the national interest first and deliver a more affordable and ­reliable energy system through the national energy guarantee,” Mr Frydenberg said. The minister has also put pressure on energy retailers to pass on reductions in wholesale prices, ­arguing that wholesale ­prices are down 35 per cent across the ­National Electricity Market over the past month compared with the same period last year. It will put an obligation on electricity ­retailers to buy power at a set level of emissions intensity each year to meet a 2030 reduction target while also forcing retailers to meet a percentage of demand from reliable power generation. Rheem, the ­nation’s largest producer of water heaters and a supporter of the NEG, said its power costs were more than 50 per cent higher than last year. The National Farmers Federation yesterday appealed to state and federal energy ministers to end the “policy stalemate”, warning that farmers and those in the agriculture supply chain were “suffering from spiralling upward electricity prices”. Opposition energy spokesman Mark Butler said the NEG was not at a stage where an agreement could be finalised, but said “everyone wants to see work continue on a bipartisan solution”. Businesses can only despair: unless they’re chasing RE subsidies. While Frydenberg fiddles, businesses can only despair. Unless, of course, those businesses are already locked into the greatest government mandated wealth transfer in the history of the Commonwealth. One-minute Frydenberg is feigning concern for small business owners, the next he’s cavorting with the ‘suits’ from wind and solar outfits, and sucking up to the lobbyists that press their ‘case’ – namely, that the Government must keep the subsidies rolling from now until kingdom come. Over the last few months, Frydenberg has been practically joined at the hip with the Clean Energy Council’s spin-king, Kane Thornton (not a great look, Josh). Frydenberg’s many failings are seized on by STT Champion, Ian Plimer in this Sky News report and interview (transcript follows the video). 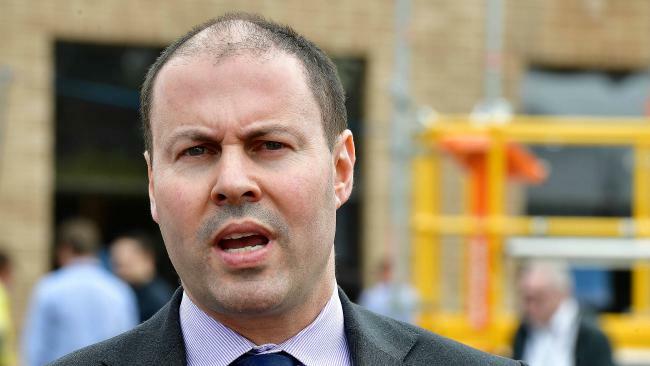 Geologist Ian Plimer told The Outsiders that Energy Minister Josh Frydenberg had caught himself ‘between a rock and a hard place’ when it comes to the government’s energy policies. Mr Plimer said it wasn’t possible for the energy market to provide cheap and reliable energy, but also reduce emissions. It comes after several Liberal backbenchers formed a ginger group to promote the idea of the government subsidising a new coal fired power plant to be build on the existing Hazelwood power station. Rowan Dean: Listen the National Energy Guarantee has been the big news. So Josh Frydenberg wrote an editorial piece and had a speech this week and his basic, and this has been obviously a contentious topic, Josh Frydenberg, the Energy Minister, is basically saying we’ve got to let renewables and we’ve got to let coal battle it out, to quote his words, and just let them sort it out themselves. How realistic is this? Talk us through it. Ian Plimer: Totally unrealistic. You can’t battle it out when one army’s got subsidies, and the other has penalties. The second thing is he’s in the very safe seat. The third thing is, you can’t have cheap energy, reliable energy and reduce emissions. It is just not possible. If you want cheap energy and reliable energy, you go to coal. You go to gas. You go to hydro or you go to nuclear. If you want to have no emissions or reduced emissions, it is only nuclear. He’s wanting an each way bet. One way to appease his Green Prime Minister and the other way is using a little bit of logic. He’s caught between a rock and a hard place, and all I can see is more bureaucratic Committees with academics and wannabe power engineers. All I can see is the same Committees and the same people who have put us in this mess, are now going to get us out of it. Well pull the other one. Rowan Dean: Well, I’m going to take you through a few of Josh’s claims and just tell me what you think about it. You won’t hear the coalition demonise coal. Rowan Dean: They demonise coal? Ian Plimer: Of course they do. Rowan Dean: And in what way? Ian Plimer: Coal is a wonderful thing. Coal has brought us from peasants and I’m with a couple of peasants here, now. It’s brought us from peasantry into the middle class. Coal has done that. Coal has provided this planet with the opportunity to grow economically. Now, coal has been demonised by the government because there are subsidies for wind, which only blows some of the time. And sun, solar power, which only shines some of the time. You can keep a coal fired power station going the whole time. It has been demonised because of the subsidies. Ross Cameron: Can I just say, you are associated with a gas project in Victoria, so we just disclose those commercial interests there. Ross Cameron: On this show, we like commercial interests. We prefer it to bureaucratic interests. Ian Plimer: Funny about that because commercial interests pay tax. Ian Plimer: That tax then goes to Canberra and then tries to stop commercial interests paying tax. Ian Plimer: What a bizarre world we live in! Ross Cameron: It’s a little bit like Rowan’s paper, the Australian Financial Review, the most anti-business business paper in the world. Now, you make a very interesting observation, which I would like you to just elaborate on, which is the difference in the land footprint of different energy technologies. What is the level of hunger, what is the rapacious greed for the land, required to run a solar farm, as against a gas-generating mine? Ian Plimer: Well, a solar industrial complex, it’s not a farm, a farm is a positive word, farms actually create wealth and feed people. It’s an industrial complex, a solar industrial complex, requires clear felling of a very large amount of the ground, and that destroys what the Greens have been telling us is so wonderful, vegetation, animals and critters. Wind industrial complexes are even worse. They destroy huge areas, they destroy human health, and these things are meant to be for the environment, and they slice and dice birds and bats, so they can’t be environmental areas. When you look at a coalmine, the footprint is moderately large, compared, say, with a gas well. Now, a gas well is about the area of this studio. It’s a few metres by a few metres and there’s a pipe coming out of the ground, and then that goes into a pipeline, these are generally underground pipelines, that goes to a gas plant, and from that the gas is cleaned up. Some gas does have some horrible things in it, like that plant food called “carbon dioxide”. We can’t put plant food in the atmosphere, we’ve got to bury it. So the footprint of a gas well is very, very small indeed. The footprint of a nuclear power station is also very small, especially if it’s a modular power station. Ian Plimer: Well, in today’s world, you could almost go down to Bunnings and buy yourself a Korean or Japanese or American modular power station. Now, these you could put in Outback towns, these you could put at Outback mines when the mine finishes, you can just pick it up, put it on a B-Double and take it somewhere else. And, if you need more power, you can put bolt-ons. These don’t need to go through approval processes and pouring huge amounts of concrete, immediately you can solve a problem. So, they have a very small footprint and they are mobile. We have gas, which has a very small footprint and it’s mobile in that you can put it through pipelines. You have wind industrial complexes, which are a blight on the horizon and they are there forever. There’s no requirement for wind companies to clean this up when they finish up. 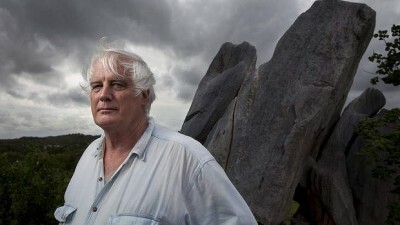 Ross Cameron: Unlike a coal mine, where it’s gotta be restored to its original, natural state. Ian Plimer: Well, worse than that, the wind farms don’t have to put in any money as a deposit, in case they go broke, whereas a coal operation has to deposit money with the State Government, and if the company goes broke, that money is used for rehabilitation. Rowan Dean: Back to Josh’s editorial on that matter. He says that substantial, basically renewables can now stand on their own. Ian Plimer: I would love that to be the case, and let’s put that to the test, give it a stress test and give them no subsidies, and see if they can stand on their own. That is the biggest load of codswallop I’ve heard. They cannot stand on their own, and the reason why electricity prices have gone through the roof, which all of us are paying for, is because they don’t stand on their own. The reason why electricity is now unreliable is because they don’t stand on their own. Ross Cameron: One of the concerns that I have in the financial arrangement, if we say good journalists should follow the money, one of the problems we have with a state like Victoria, is on the one hand they’re getting all this guaranteed income from taxpayers through a GST payment, but on the other hand they’re shutting down their potential sources of State-raised revenue, through, for example, gas, and because they like sterilising 50 square kilometres of land to put up wind and solar, but they won’t commit two hectares to produce a new gas plant, because it’s OK, the Commonwealth is still going to shovel all the GST revenue at them. So there’s no accountability for performance. Tell us about the attitude of the Victorian Government to the development of new sources of energy in Victoria. Ian Plimer: Well it’s even worse than that. If Victoria doesn’t have the gas, and doesn’t have the wind, and doesn’t have the sun, they pull electricity through the grid from Queensland. And where does that come from? Coal. What happens when you transfer that electricity, you lose a huge amount of it in voltage loss. So, Victoria wants to set itself up as this wonderful little Socialist empire, where private companies are not allowed to be able to drill a well for gas, in onshore Victoria next to pipelines, next to gas plants, because they are so holy. Now, I think the best thing to do is to cut the interconnector, see how they survive. Rowan Dean: There it is! Ian Plimer: This is the Wombat 1 well in Gippsland, this is an area where, apparently, according to the Victorian Government, we have no gas. This is only very close to a pipeline, very close to a gas plant, this gas could be in to Victorian houses in a matter of 18 months. However, Victoria has no gas. But Geoscience Australia in Canberra tells us that Victoria has some 27 trillion cubic feet of gas. So, here you have evidence that there’s gas, we’ve got the specialists saying that there’s gas, yet we have the bureaucrats and the politicians saying “Oh no, we’ve got no gas. It doesn’t matter, we can ban exploration for gas, because we’ve got none of it”. Now I think that the people in the business would know better, whether there’s gas or not, and secondly, they take the risks, it’s not up to the Government to decide, oh suddenly geologically we have no gas in Victoria onshore, yet we’ve got it offshore. The difference is that the offshore gas is quite rich in that horrible plant food carbon dioxide. It’s also rich in rotten egg gas, hydrogen sulphide, but it’s also got a little bit of mercury in it, and that’s got to be cleaned out of the offshore gas, but you don’t have to worry about it because it’s not on the onshore gas. So for every economic and environmental reason, the known gas reserves should be used in Victoria. We have a massive basin in Western Victoria, the Otway Basin, that produces gas offshore. You’re allowed to drill from onshore and go out to offshore to collect that gas, it goes into gas processing plants onshore, just across the political border in South Australia, Beach Petroleum have made a huge gas discovery, but apparently, as soon as you move into a Socialist state the gas disappears, and we have a huge energy consumer called Portland. Ian Plimer: proves real world experience is the best teacher of all. On a final note… You can all be certain that this entire nation will eventually sit down to a banquet of consequences. The people who rule and govern us need to scrape off the crippling, encrusted barnacles of nonsense they`ve allowed attach to their minds. There is no getting around the fact that wind and solar are intermittent and can start and stop anytime. State governments have decided to reduce or stop exploration for gas, of which I hear we have vast amounts… Batteries are near useless for large cities, an unimaginable number would be required,, and they also have a cost and a life span…. Also wind and solar are not free, there is the cost to build, install, maintain, and replace. If wind and solar can reliably run a big city of course I`m all for it, but unfortunately, reality gets in the way. Without taxpayer supplied subsidies wind and solar would not be considered. When technology gets us to the point where wind and solar are as reliable and cheap as coal, that`s the time to change, not before. Power has to be supplied every minute of every day, reliably and cost effectively. All three main parties need to do a little more research and pondering on this. Of all our multitude of problems, this is one we definitely should not have. A rise in the cost of power or a fall in supply will not have any good effect on the people of Australia. What is not ever mentioned, is the important fact that, if Australia ceased all CO2 emissions, it would have absolutely no effect on world climate. Amazing isn`t it? The climate council and Greenpeace will confirm this if required. Jennifer Marohasy – Judith Curry – Tim Ball – Bob Carter – Peter Ridd (barrier reef) – Patrick Moore (greenpeace founder) – Richard Lindzen — Willie Soon. It’s obvious that the only way the government and all their expert advisors can fix the electricity problem in Australia is to bring in a subsidy for Caviar which will in turn have a flow on effect to lower the price of electricity in Australia. Len Morabito: “I can’t believe the lack of uproar”. Quite so; it is truly amazing. And then: “The National Farmers Federation yesterday appealed to state and federal energy ministers to end the ‘policy stalemate’ ”. Meaning? “Opposition energy spokesman Mark Butler said the NEG was not at a stage where an agreement could be finalised, but said ‘everyone wants to see work continue on a bipartisan solution’.” Why? Not, perchance that, implicitly, it will be Labor policy. Utterly shambolic, but with nefarious method in its madness. Not a Liberal in sight. All and everything that keeps on being rehashed is getting no one no where. I see no.solutions to noise and health issues from. The entire country’s businesses who rely on electricity for survival, plus the citizens who rely on independent supermarkets and thousands of other businesses for their goods and services are being driven into the ground and beyond in great dollops of despair by the absurd policies relating to renewable energy – yet our politicians continue to gleefully destroy their own nation’s backbone by these criminally insane policies – revolutions are hard to organise in this modern world despite the Internet but revolution looks more and more like the only solution – lovely to see pictures of ‘grandpa’ Turnbull in Singapore with his son’s new baby and to hell with the rest of us – well don’t be too sure Malcolm, don’t be too sure Josh and Andrew Vesey and Aubrey Zeibelman etc etc, your humble citizens have their limits and now we have the Monash group ready and willing to take on our battles – enough is enough. Oh Glory be, living in South Australia at the moment is a bit like being in a Black comedy and believe you me them zealots and their wind turbines are certainly taking centre stage. I thought it might be time to put the cue back in the rack for a while. But like the gift that keeps on giving, whilst out on the tractor, up on my twitter feed comes “Dispatch price of $14,200/Mwh in SA today after transmission shortage in south east SA at a time of low wind. Surely not, but alas at about 2:30 pm I looked across at the NEM, SA generation chart and there was about 1,100 Mw of gas, 30 Mw of wind, 35 Mw from the battery and 189Mw from liquid fuels. Think there might have been some diesel generation in there! The Renewable Energy Messiah cant take a trick, try as he may to convince the public that renewables are the go, mother nature keeps intervening. The Great REM is a bit like my mate Dave. Like so many young farmers in the country due to a shortage of suitable local female talent Dave was single. So he decided to try his luck at the “Desperate and Dateless ball’ at the Adelaide Entertainment Centre. But alas things didn’t go to plan. At a low ebb Dave cut a lonely figure at 12:30 am in the morning as he walked along Port road back to his car. With the distant sounds of barking dogs, he then heard a V8 car’s loud exhaust system, roaring behind him. The car throttled back as it pulled along side a startled Dave. As he turned to look he saw a P plate Commodore driven by hoons and as the back window went down, a guy yelled out “better luck next year mate” and then roared off with the sounds of laughter in the air. Hang on in there Great REM, your luck might just change.